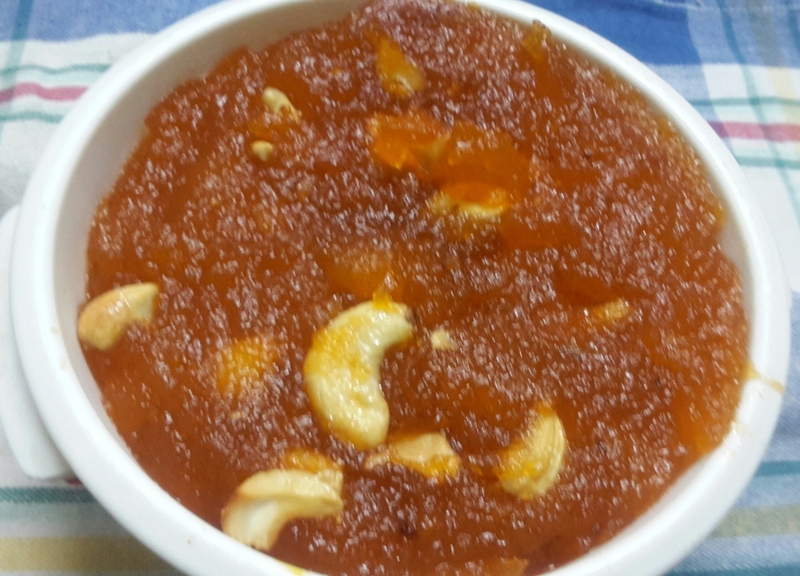 Kasi Halwa is famous sweet served in most of the functions, prepared during festivals like Diwali.This colourful and yummy dessert is prepared with White pumpkin and sugar.Needs less effort with great taste as result. 1.Peel skin,remove seeds and grate in small grater or grind,measure 2 cups. 2.Heat pan with one tablespoon of ghee fry Cashews golden brown drain ghee and keep aside. 3.Add grated pumpkin in the same pan cook until soft and glossy.juice of it will be evoporated while cooking Pumpkin. (10 to 15 minutes approximately). 4.Add food colour and Sugar in it,stir well and cook for few more minutes by adding the rest of the ghee. 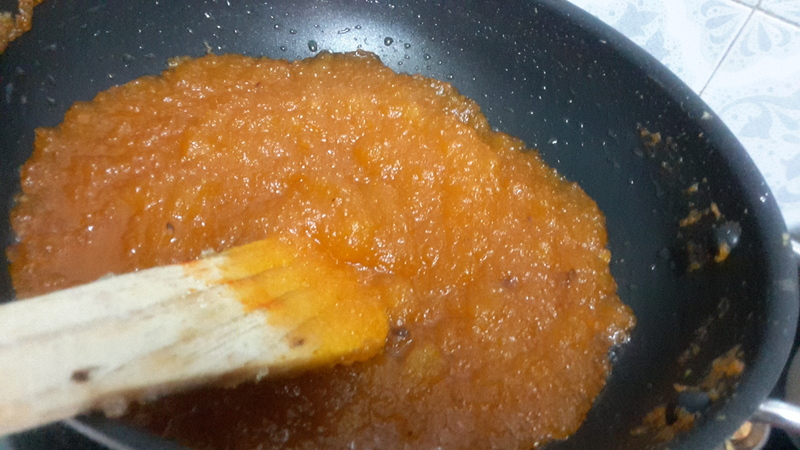 5.Gradually it will leave the surface of the pan,you can notice halwa consistency. 6.Add cashews mix well and transfer to serving dish. Can be stored for 4 to 5 days.